Over the last few months, I have grown to see the power of the process not only throughout this adoption but also through life itself. Growth is essentially time creating beauty. Often, the hidden treasures of this life are revealed after a painful process of God peeling away the unnecessary and ugly parts of our character. Take the artichoke for example. This sharp and seemingly inedible vegetable presents itself with several layers of bitter leaves. At first, as you strip away the skin piece by piece, there is little moisture or any savory flavor from the plant. But through patience and diligence, as you dig deeper to the core, a surprise awaits. Not only does the thorny bitterness disappear, but an awesome center of delicious goodness emerges. If the time and energy were not invested to pursue the middle of this healthy food, the only thing that would have been apparent was the rough and distasteful outer portion. We are God’s artichokes. We have been uniquely made by Him with an inner being that God desires to be sweet and pleasing. That beauty is displayed and shared with others in a powerful way after a long and sometimes laborious process of God peeling away the waste. The challenges and suffering we endure in this life are not wasted because essentially these enable God to peel away another layer, to dig deeper into who He really wants us to be. 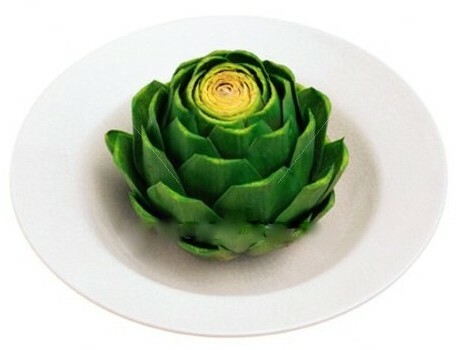 If we never encounter trials or never learn from sin or never have days that push us to humbly acknowledge how small we are in comparison to God, then we remain the sharp, dry, seemingly useless vegetable that an artichoke appears to be. But if we let God “prune us” (not a pretty process) like he talks about in John 15:2, we will bear more fruit and become even more beautiful. 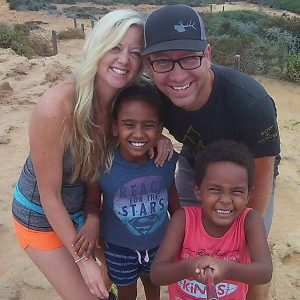 This adoption journey is definitely a tool God is using in our lives. It’s pruning us. It’s peeling us. It’s challenging us. We often grow weary from the sheer time frame alone. Why does it have to take so long??? But hidden under the bitter and prickly layers of time, effort, struggles and tears awaits God’s sweet gifts. If we are truly to become the people he wants us to be, then we must be pruned and all the dead branches of unimportant details our lives must be cut away. We must be peeled, one leaf at a time, in order to reach the delicious center. We must learn to WAIT, to trust, to seek Him first, to take joy in the process. God uses even the most difficult of times to define who we really are. May this time of longing for our two little children make us into the people and parents God desires for us to be. May the center of our lives be a pleasant offering to God. Next: Finally… Progress: Dossier Has Been Sent!